Valerio Nannini is an Italian and British citizen, who holds a Master’s degree in Chemistry from the University of Florence, an an MBA from the University of Wales. Valerio started his carreer with Nestlé in Italy in 1984, and since then, he has helped built, establish and reorganize several Nestlé units, across various Technical, Supply Chain and R&D functions. 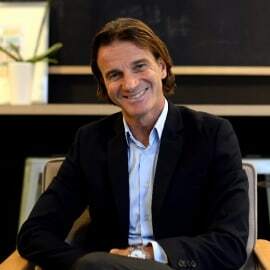 To fulfill his different missions, Valerio lived in India, Thailand, Indonesia, South Africa, and Singapore, where he strengthened and grew the business for three consecutive years, establishing an innovative, fresh and unique working environment. Valerio took his current function as Senior Vice President, Head of Strategies and Performance in April 2014. Since then, he has been driving a cross-functional culture of innovation that is fast, effective and efficient, enabling innovation to happen across the wider Nestlé. Valerio also drives open innovation as well as all major strategic partnerships and alliances. Together with highly effective teams, he contributes to designing our future.